Gosh, that hurts to read. 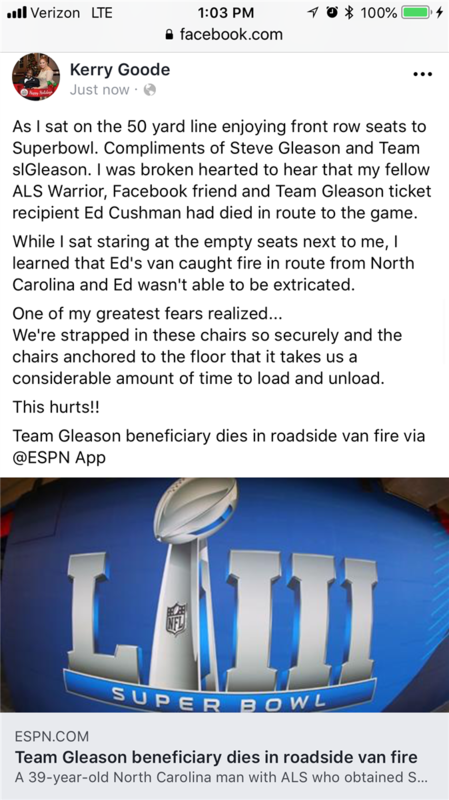 RIP Ed Cushman. This is so sad. Last edited by ALA2262; February 5th, 2019 at 09:36 PM. Wow that is the bummer of all bummers. Hate I read that. Depresses me. Prayers for his family. Beyond sad. Prayers for his family. How very sad. When things like this happen, I try to just take comfort in knowing that it was his time, and he's in a better place. Roll Tide Ed, Roll Tide! I read it on Kerry's FB post right after it happened...what a sad, helpless, sickening feeling. "If I didn't think you could do it, I wouldn't ask you to try." Coach Paul Bryant, telling his players of the switch to the wishbone, Fall camp 1971. Oh man...You`re right, no words.